If you have ever seen a TED talk, you know that they usually run around 5-20 minutes and feature a professional of a field giving a compelling presentation on a topic. Sometimes these talks feature muscians and artists who show the world a piece or performance. Tim Exile, a musician and DJ, went to Switzerland and gave a TEDx talk to demonstrate his live instrument called The Flow Machine. Through his talk he gives an impressive live performance using unique technology and turns the event from a normal TEDx Talk into a mock Boiler Room set (with an even more livelier audience). “An inventor of electronic instruments and a DJ, Tim Exile recorded sounds from the data centres of the Large Hadron Collider and mixed them with the sound of the audience at TEDxCERN to create a unique audio track. His performance brought the audience dancing onstage. 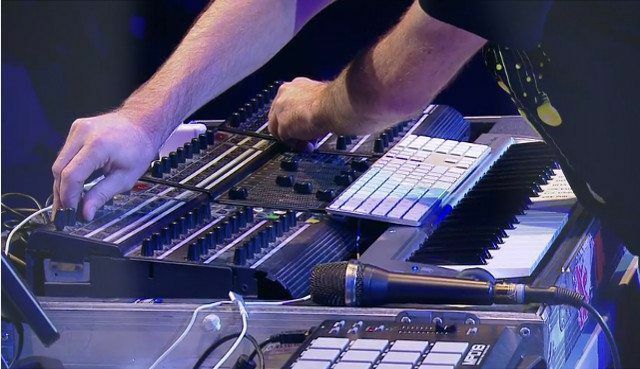 Being a technology enthusiast, he finds new ways to blend his music with his love for programming and hardware. The Flow Machine is a vocoder, synth, drum machine, sampler, looper, and loop recorder all in one collective unit. The hardware runs into Reaktor where Tim programmed all the triggers and functions of the Flow Machine. He has been using this rig for years and there is a reason why. Tim’s Flow Machine allows him to build a spontaneous impromptu set that otherwise wouldn’t be possible with traditional production or DJ gear. Below is a short Native Instruments video where Tim explains each part of his Flow Machine and how he uses it in a performance. Have a unique and interesting routine you want to share? Let us know about it!